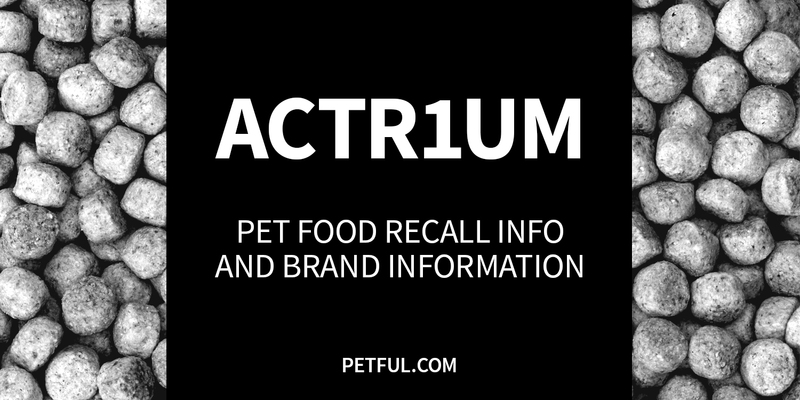 Actr1um dog food is listed as a holistic adult dog food. The product does not include corn, wheat, by-products or preservatives. The brand is listed as a Walmart brand, and the product’s manufacturing location is listed in Canada. Detailed manufacturing information was not available at the time of research. Brand line includes: For dogs: Duck and Sweet Potatoes, Chicken Adult, Holistic Adult, Holistic Large Breed. For cats: Holistic Adult, Holistic Indoor Hairball, Holistic Senior. Has Actr1um Ever Been Recalled? Have You Had a Problem With Actr1um?